Iberian Bellota ham slicing. Finely hand-cut. 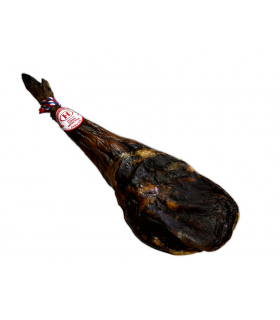 Gran Reserva hams derived from carefully selected pigs and cured for 36 months. We had been consuming this product during 10 years. This ham is simply excellent. 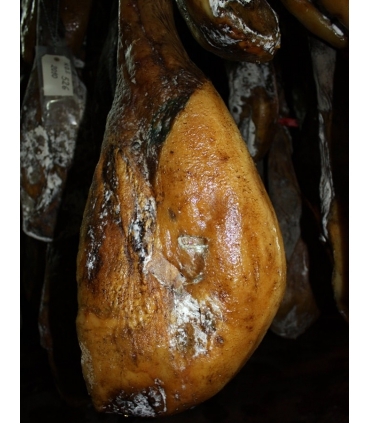 It respects all quality criteria Iberian ham from Jabugo area: meat color whose tone reaches a purple tint in sight, appearance and fat distribution, has a smell and an exquisite taste that remember acorn at “Montanera” (october-february) time across the “dehesa” (Jabugo area ecosystem). It can be keeped for several months.